There's nothing quite like sitting on your porch chatting with neighbors or enjoying a beautiful sunset after a long day at work. 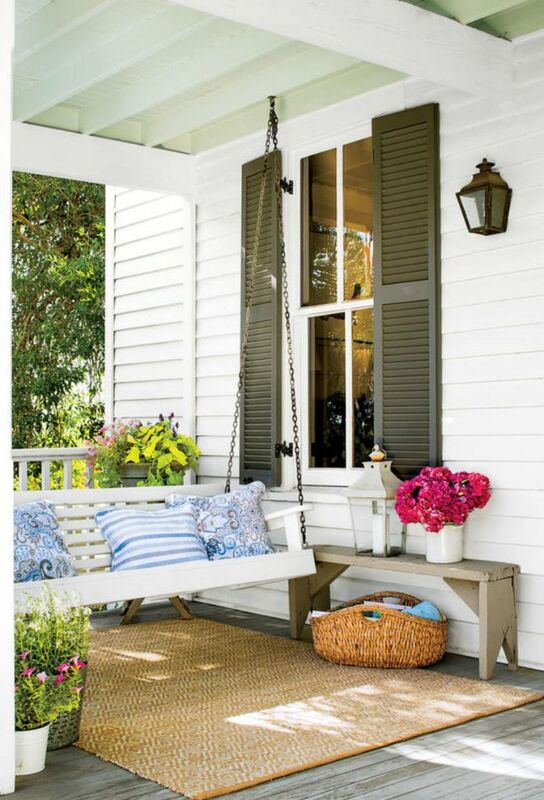 The porch is an extension of the home, an outdoor living room of sorts. Turning this space into an attractive outdoor space improves the neighborhood and adds a welcoming view when you pull into the driveway after a stressful day in the office. This outdoor space is the first thing many people will see before they ever enter through the front door. Turning this space into an attractive oasis is a simple way to show off your personality while encouraging friends and neighbors to stay a few more minutes. In a world that moves too fast, simple things like sitting on the porch swing with a glass of lemonade and a good friend can make all the difference. 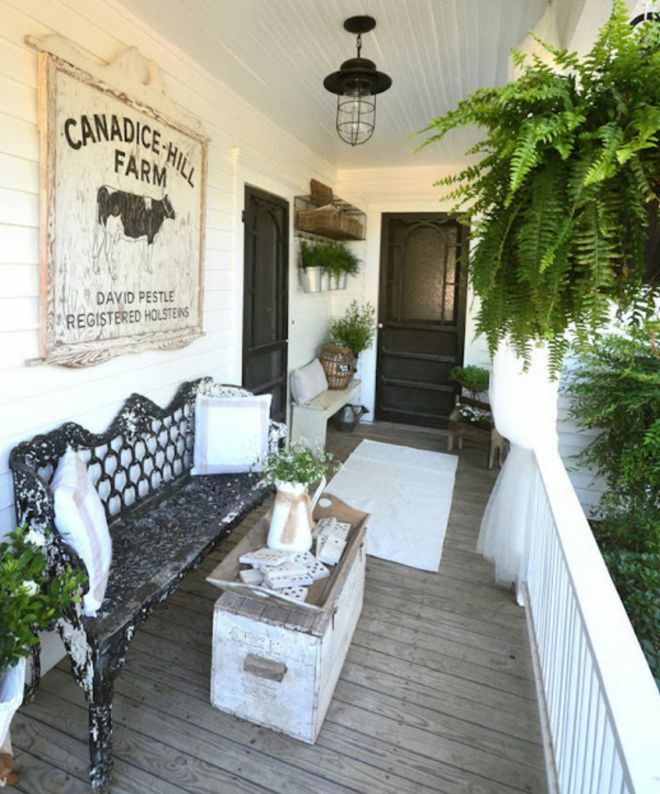 Check out a few of these fun porch designs for a bit of inspiration. 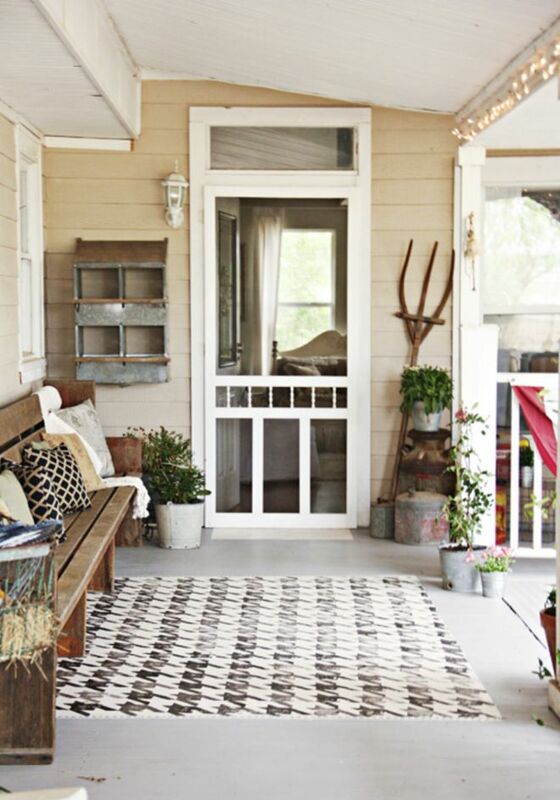 An outdoor area rug and sturdy wood bench, turn this front porch into a country-lovers dream. The fun part about this design is that the rug is actually hand-painted onto the porch using a stencil. You can easily personalize the style to match your home. 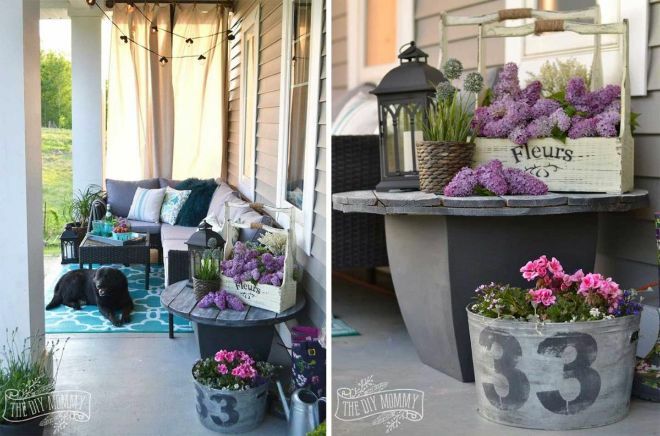 Add a few sturdy throw pillows and plants in metal buckets to pull the look together. This vintage house comes complete with an outdoor area that screams comfort, with a bit of luxury. The DIY crib-turned-bench adds a fun twist to the sitting space. Add a few curtains (which are both functional and decorative) and swap out the traditional porch light for a chandelier, for a relaxing retreat right at your fingertips. This porch isn't particularly wide, but the owners used a narrower bench and old wooden chest to create a charming sitting area. The large vintage sign is a fun touch. Notice how most of the furniture has the rustic feel, making this space look like a trip back in time. The rocking chairs. The sunflowers. 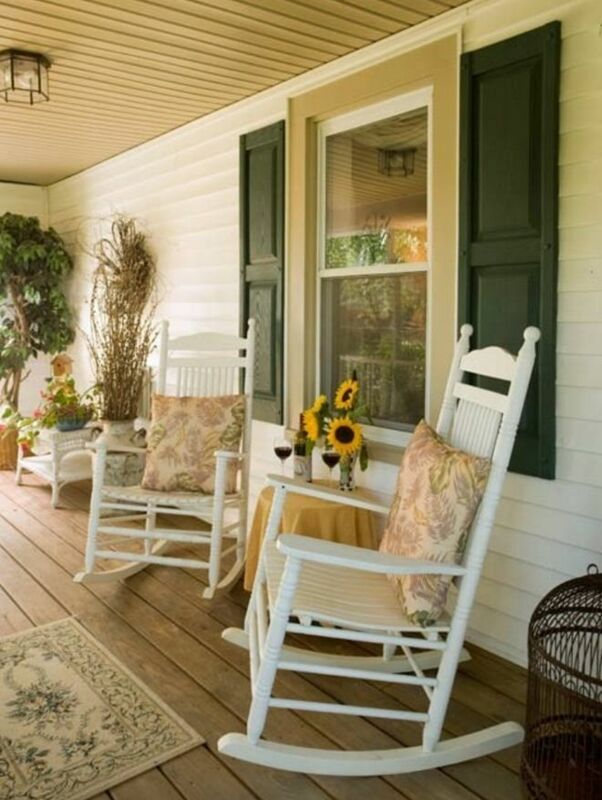 This porch is a great example of a traditional southern style decor. The space is comfortable and attractive. The functional table in the middle is a great place to set your iced tea while chatting with friends. Use low-maintenance plants as backdrops if you don't want to spend a lot of time watering and pruning them. This simple design uses wicker (affordable and easy to maintain in outdoor spaces) as well as natural wood pieces. Add sturdy weather-resistant pillows and a few hanging plants to pull the space together. If you don't have a lot of hanging area, a small vintage-style sign can add a touch of personality without overwhelming the porch. 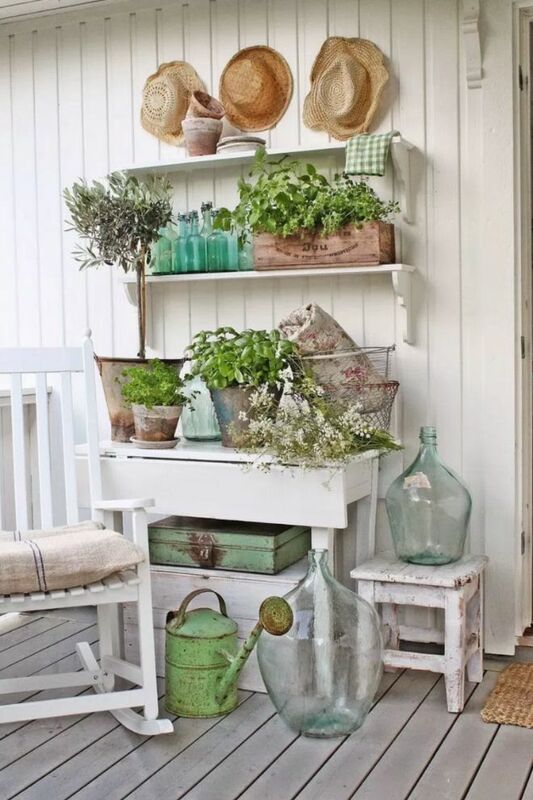 Even decorating a small corner of your porch adds a punch of personality. 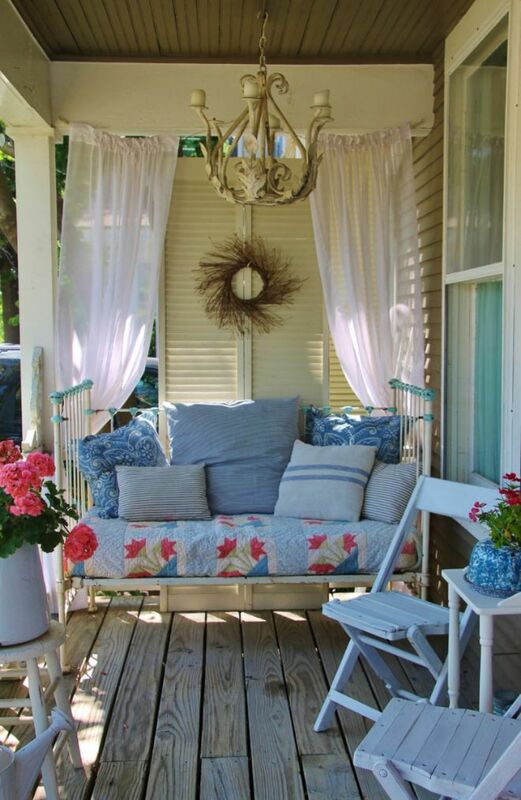 A simple hanging swing, outdoor rug and small bench makes this porch eye-catching without a lot of effort. Add a pop of color with flowering plants and some throw pillows. If you want to get creative with the lighting, try an antique lantern. If you really enjoy your front porch, this outdoor living room may be the perfect option. A full-sized cushy couch, coffee table and worn chair looks like an additional room added onto the home. 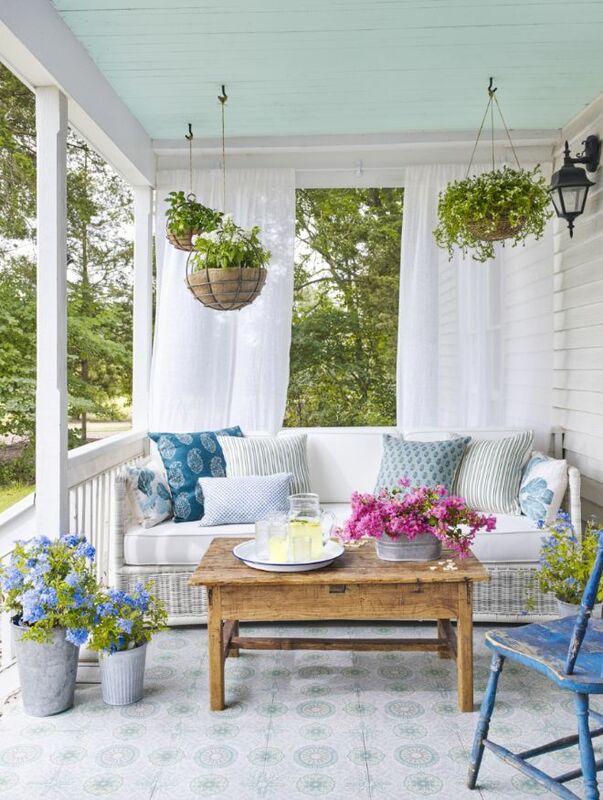 Use colorful flowers as an outdoor-friendly decorative item. 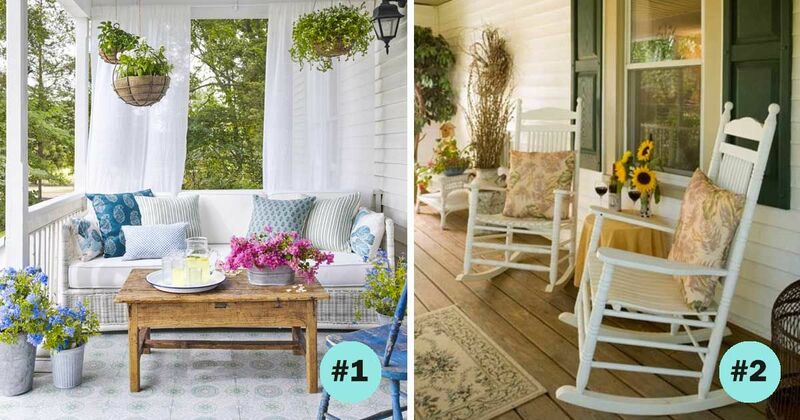 If you're feeling creative, consider painting a rug on the porch. We especially love the flower pots which are taller than wide, a unique look that really pulls the design together. This outdoor space is pet-friendly and elegant. Long hanging curtains keep the area cool on hot days, and add a luxurious feel when the wind blows. Add personality with a custom barrel-table. Keep with the theme by finding rustic pieces at your local thrift shop. Turning an old tool box and water barrel into flower pots is a great way to recycle and add personality! 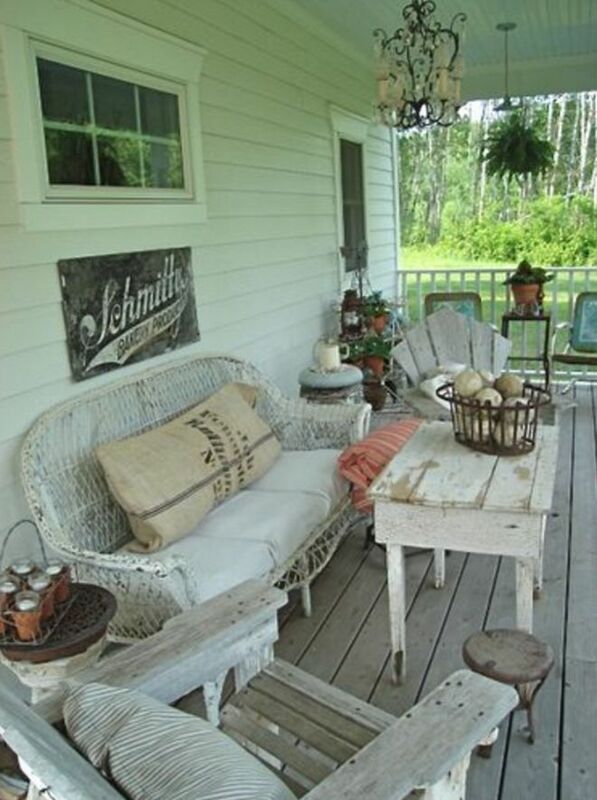 Do you enjoy sitting on your front porch? Share some of your decorating ideas in the comments below.